For years, Hydroxycut branded products were marketed as dietary supplements to promote weight loss, as fat burners, as energy enhancers, as low-carb diet aids, and for water loss under the Iovate and MuscleTech brand names. Among the complaints ConsumerAffairs received about the supplements was this one in 2009 from Donyale, of Middletown, Conn., who professed to be a Hydroxycut user, off and on, over 3 years. Donyale was not alone. In 2009, U.S. Food and Drug Administration (FDA) warned consumers to immediately stop using Hydroxycut products after getting reports of serious liver injuries. 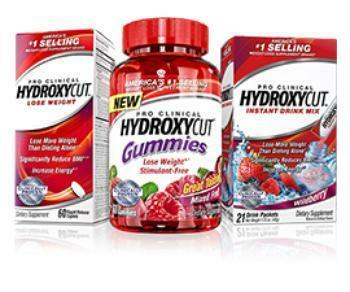 At the same time, Iovate Health Sciences, the manufacturer, agreed to recall Hydroxycut products from the market. The FDA said it had received 23 reports of serious health problems ranging from jaundice and elevated liver enzymes, an indicator of potential liver injury, to liver damage requiring liver transplant. One death due to liver failure was been reported to the FDA. Other health problems reported include seizures, cardiovascular disorders, and rhabdomyolysis, a type of muscle damage that can lead to other serious health problems such as kidney failure. At about that time the products were the subject of two class-action lawsuits, filed in Canada and the United States, charging Iovate Health Sciences of failing to warn consumers the drugs could be harmful to liver function and have other potential side effects. One of the suits has now been settled and consumers who bought the products may be entitled to choose either a cash refund or free products by submitting a claim. The litigation claimed the products were misrepresented as clinically proven to be safe and effective for weight loss and Iovate Health Sciences, which denies the allegations, has elected to settle. “The Settlement Class includes all persons who purchased one of the following Hydroxycut weight loss products in the United States between May 9, 2006 and May 1, 2009,” the company said in a statement. The settlement does not include anyone with a personal injury claim arising from the use of one of the above listed products. It only covers the economic loss for the purchase of the products. The settlement sets up a fund of $14 million – minus paintiffs' attorneys fees and administrative costs. Consumers who are members of the class may choose either a cash payment or a free product. To file a claim consumers must submit a claim form online or by mail by January 13, 2015. Consumers may get a form, along with additional information, here.